Colombo is the largest city in Sri Lanka and is the financial and commercial capital of our country. It’s a bustling vibrant city with a mixture of modern life as well as historical ruins and buildings that offer a variety of experience, mostly forgotten or overlooked. 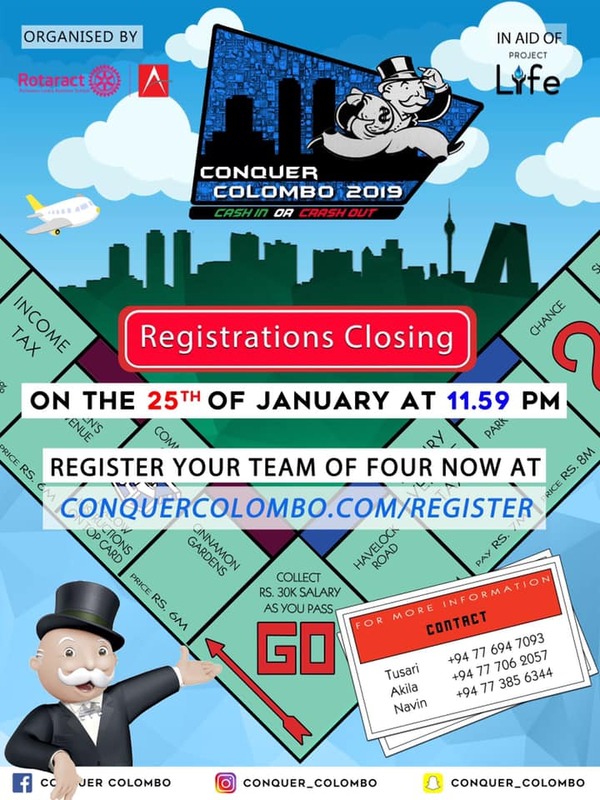 “Conquer Colombo”– a signature initiative by the Rotaract Club of Achievers Lanka Business School, in keeping with its practice of introducing many projects which promote youth and creativity. It had the participation of contestants from all walks of life, regardless of the age, gender and occupation, scurrying through Colombo in cars, bikes and “tuk- tuks”, solving clues and completing challenges laid. The Rotaract Club of Achievers Lanka Business School is the first and only CIMA institute with its own Rotaract Club. Within just 9 years from inception, Rotaract Club of Achievers Lanka Business School now stands toe-to-toe with several clubs that have been in existence for approximately 30 years. Throughout the past years, the Club set its priorities straight, in opting for “Quality over Quantity”- be in it our projects characterized by larger, more innovative additions to Conquer Colombo, Friends in Action, Jumpstart etc. 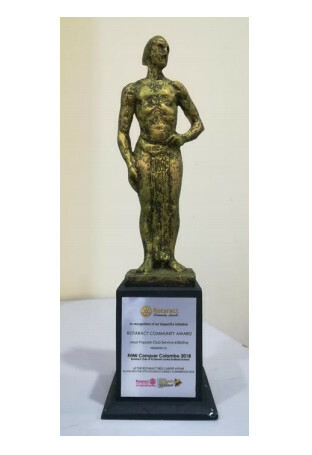 Conquer Colombo has seen many achievements since its inauguration in 2013, winning many awards over the years. The Most Outstanding Rotaract Project in the year 2015/2016. Gold for the Most Popular Club Service Project for the sixth consecutive year at the Rotaract District Assembly 2018. Approximately 20+ challenges were conducted across the city of Colombo. The mixture of challenges ranged from physical to intellectual and special challenges from partnering companies. 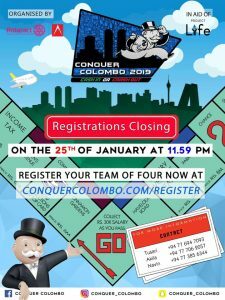 Proceeds from Conquer Colombo 2019 will be utilized for phase 3 of “Project Life” the Clubs’ biggest Community Service Project (discussed later). With an estimated cost of investment of LKR 2.5Mn, “Project Life” is expected to be carried out towards the end of the Rotaract year. Chronic Kidney disease has become a major problem in rural Sri Lanka.Previously confined to North Central and Uva provinces, it is now prevalent in the Northwestern, Eastern, Southern and Central Provinces and parts of the Northern Provinces. According to the World Health Organization (WHO), more than 15% of the population aged 15-70 years in the North Central and Uva Provinces are affected with CKD. Over 22,000 deaths from the disease have been recorded in the Anuradhapura District in the North Central Province since CKD was first identified in 1991. All proceeds from Conquer Colombo 2019 will be utilized to fund this project. The initiative of providing Rain Water Harvesting (RWH) systems to around 4 communities in the identified areas. 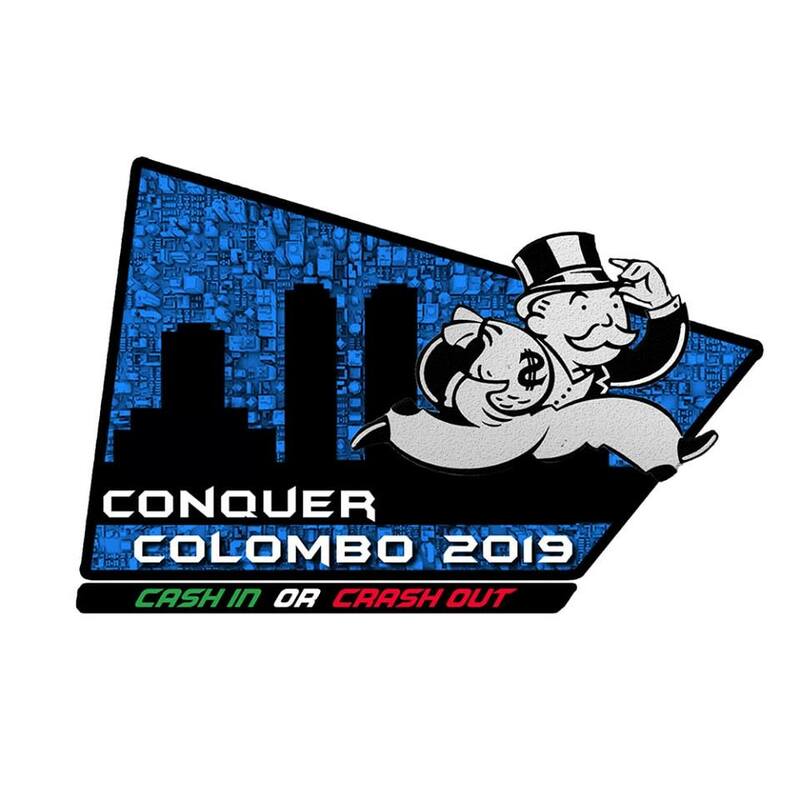 This year the event is set to take place on the 27th of January 2019, Race Course Grounds, Colombo.